Despite Paris' reputation as a culinary city, the concept of brunch was slow to catch on. But thanks to a drove of expats and French entrepreneurs, brunch is taking hold of the city. The brunch scene may have first been fuelled by expats gravitating towards a familiar concept, but in recent years the sound of French chatter (and the delights of French produce) is becoming an increasingly dominant presence on the scene. 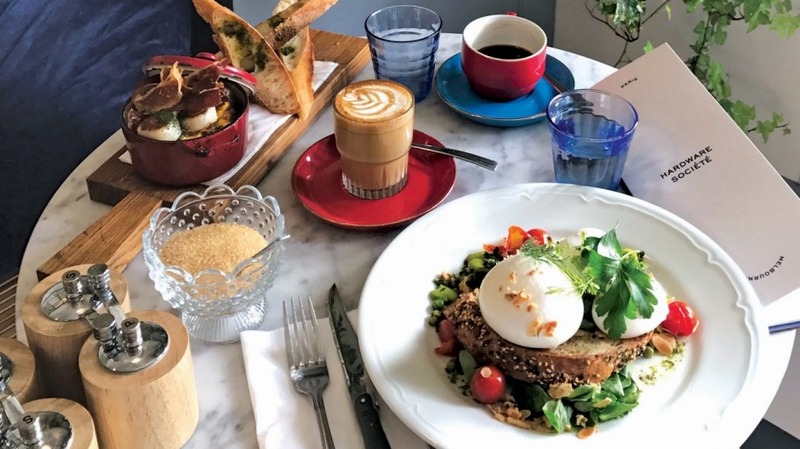 Parisians are trading in their traditional coffee-and-croissant breakfasts for the city's growing range of brunch offerings, from refined American comforts to Australian-inspired dishes, reinvented French breakfasts to health-conscious options. No matter what you fancy, Paris is brimming with brunch spots to discover. One of the first eateries to serve a serious brunch in Paris, Holybelly has had a line at its door since it opened in 2013. Borrowing inspiration from their time in Australia, French owners Nico Alary and Sarah Mouchot popularised brunch in Paris, replacing croissants with scrambled eggs and bloody marys. Holybelly's simple, winning formula is one few cafes in the city have quite mastered: great food and specialty coffee coupled with a relaxed atmosphere and friendly service. Their menu features staples as well as specials that change monthly, but it always features locally sourced, seasonal ingredients. The pancakes, topped with either bacon and a fried egg or seasonal fruits, are credited with putting Holybelly on the map. Another staple is the flexible ''eggs and sides'': your choice of sides like mushrooms, baked beans, bacon or hash browns served up with eggs done your way. This place is always packed, with good reason, so you may be faced with a long wait on weekends. Due to their popularity, Nico and Sarah have expanded their operation with a second restaurant that seats 100 just down the road. If you're faced with a long wait, pop inside and order a takeaway coffee to drink in line. This Australian transplant nestled among Montmartre's winding streets offers world-class brunch in a picturesque neighbourhood. In opening a Parisian outpost of their Melbourne cafe, Di and Will Keser have brought a piece of Australian brunch culture to the endless staircases and charming streets of Montmartre. They also brought Melburnian chef Jesse Keane, who has built a menu that blends Australian brunch classics with French flavours and seasonal ingredients. Weekends at Hardware Societe usher in a line of brunch goers trailing down rue Lamarck, all waiting for one of the cafe's 50 seats. The scene in this bright and airy space is a vibrant one, filled with happy patrons enjoying the likes of eggs benedict, french toast with berries, mushrooms on sourdough and scrambled eggs topped with salmon. The coffee here comes from Melbourne roaster Padre Coffee – flown in from Australia on a regular basis – and is served in the cafe's bright china cups. Di and Will pride themselves on their contingent of high-quality staff, so the service here is impeccable. Cafe Mericourt, Cafe Oberkampf's beautiful sister cafe, is home to one of Paris' most sought-after brunches. Cafe Mericourt is the second cafe from Guy Griffin, so fans of his first cafe, Cafe Oberkampf, have every reason to flock here. While the original cafe has gone back to its coffee-centric roots, Cafe Mericourt has borrowed its celebrated brunch menu and used it to come into its own. From its inviting pastel-green exterior to its spacious interior, this light and breezy place has quickly become a neighbourhood staple in the hip 11th arrondissement. 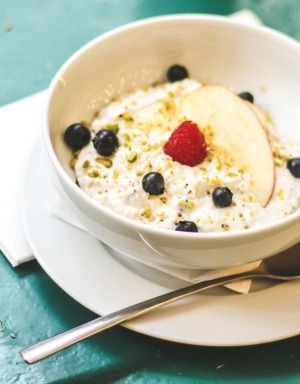 Enjoy the classic all-day menu featuring: shakshuka (Middle Eastern-style baked eggs); one of Paris' best-loved brunch items – green eggs topped with feta; fluffy pancakes served with seasonal fruit; homemade granola; and stone-fruit Bircher muesli. Reservations are recommended for brunch, although walk-ins are welcome. The team here are always accommodating, but arriving early will mean avoiding a wait. This eatery dedicated to the art of breakfast is housed in an impeccably designed space near Musee du Louvre. 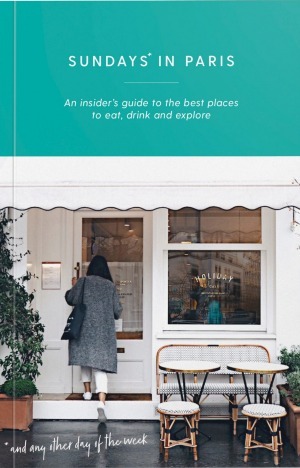 When Claus opened its doors in 2011, it was one of the first eateries in the city dedicated to petit dejeuner (breakfast) – a daring move at a time when those seeking a delicious start to their day were limited to croissants and burnt coffee. Claus is celebrated for its gourmet range of offerings, while its crisp white exterior and chic interior make it a beacon of good taste in the 1st arrondissement. Inside, the first floor is airy and bright, filled with a selection of gourmet jam, muesli, tea, scones and pastries. Up the spiral staircase is an eccentrically decorated room decked out in pine-green carpet and orange lounges filled with happy brunch goers. The menu is made up of five set options, each offering a range of sweet and savoury dishes such as scrambled eggs, smoked salmon, muesli and fresh fruit salad, all served with a coffee, fresh juice and an assortment of pastries and jam. Items can also be ordered a la carte. Tables here are always in high demand, so reservations are recommended. 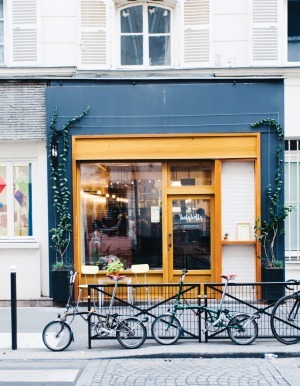 Sprawled across a corner of the trendy Marais, this health-conscious eatery serves up fresh food in a refreshingly expansive space. One of few places in the area where you can start your day with a green juice and an acai bowl, Season has quickly acquired a loyal following. Split across two levels, the eatery boasts a generous amount of space in a city where square metres are sought after. The chic design and range of healthy offerings have drawn in the fashion crowd since it first opened its doors in 2015; the eatery fast became the go-to destination for visitors to Paris during fashion weeks. The menu draws inspiration from all corners of the globe, offering healthy brunch twists on shakshuka (Middle Eastern–style baked eggs), pancakes, burritos, dim sum and burgers, as well as health food staples like the acai bowl, matcha bowl and superfood salads. Season also offers a range of pre-pressed and fresh juices and smoothies, as well as coffee from Belleville Brulerie. Season's success has seen it expand to include a takeaway outpost around the corner, as well as two other locations around the 3rd arrondissement. This is an edited extract from Sundays in Paris by Yasmin Zeinab, Hardie Grant, $30.